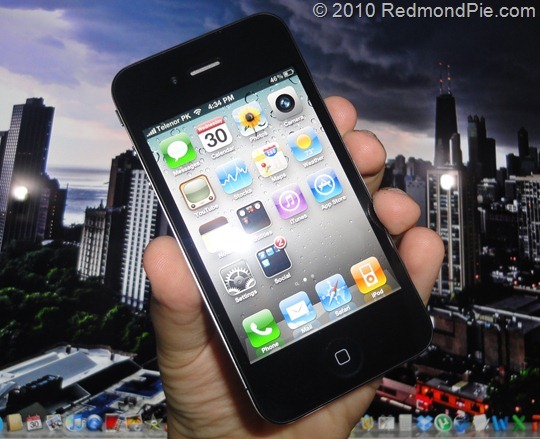 Apple to Release a New iPhone 4 with Revised Hardware by the End of September? Back at the special iPhone 4 conference in July of this year, Steve Jobs announced free cases for every iPhone 4 purchased through September 30. This deadline of September 30th got many to speculate that Apple probably will come out with a new iPhone 4 in fall of this year with a proper hardware fix for the now infamous “antennagate” issue which has been plaguing many users since its launch in June. Now a senior executive at a Mexican carrier Telcel claims that Apple is all set to release a new iPhone 4 with revised hardware by the end of this September which will fix the antenna issue once and for all. According to Marco Quatorze, Telcel’s Director of Value Added Services, the iPhone 4 sold in Mexico will initially be the same hardware as that sold in the U.S. and elsewhere, with Apple offering a free case to address potential issues with antenna performance. But he also noted that as of September 30th, when the free case program expires, revised hardware without the reception issues will become available. The veracity of Quatorze’s claim is unknown, as it is unclear whether a carrier executive at his level would even be privy to such information, and it is possible that he may simply be mistaken in his understanding of Apple’s September 30th expiration date for the free case program. I completely agree with the last sentence above, there is high chance that this Mexican executive is confusing Apple’s September 30th expiration date for the free case program with a new iPhone 4 release. Apple is unlikely to do that this year. If there is ever going to be a new iPhone, it will be next year. Period that. Steve Jobs already mentioned the reason for this expiration date at the conference, saying that this date was set to provide Apple with more time to continue with the investigation on the antenna issue so that they can come up with a better solution then just free cases. I think this is really going to be the announcement of the Verizon CDMA chip version iPhone. They wouldn’t burn themselves by announcing a revised model, they would tweak design internally though. Got to remember, even 1%, thats 1 in a 100 people in that apple que of people, having reception issues on a device that sells a few million will add up. The whole thing is blown out of proportion. i really think apple will come out with iphone 4A A stands for antenna, since they did the same thing with 3gs for speed. since 3g was really slow.